Contact Us - Recycle-A-Bull Bully Breed Rescue, Inc.
Recycle-A-Bull Bully Breed Rescue, Inc.
Once you go bully, you never go back! 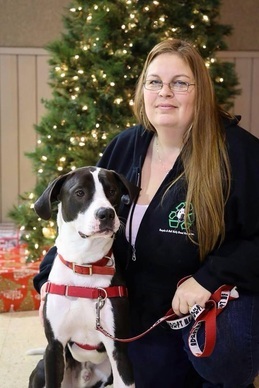 Stephanie is the Founder and President of Recycle-A-Bull Bully Breed Rescue Inc. She and her family live in the Clay, NY area with their multiple rescue dogs and ever changing list of foster dogs. Stephanie has been involved with rescue and training for over 12 years. She started out fostering and helping transport dogs from Virginia to NY for a local rescue. After taking a 2 year break she got a phone call about a puppy who was living in a garage. Soon after she found herself once again involved in rescue. it wasn't until some unexpected circumstances arose that she and our co founder found themselves realizing the need for a bully breed locally here in CNY. Soon after RABBBR was formed. Stephanie is in charge of handling intake of new dogs, serving as the adoption coordinator, and oversight of the day to day operations of the rescue. In addition to being a full time nurse she also has three teenagers and up until June of 2017 was running a professional dog training business. Although she is no longer training professionally she does still work with the dogs in rescue. Dan is the co-founder and committee coordinator for Recycle-A-Bull Bully Breed Rescue. In April of 2007 Dan rescued his first pit bull/rottweiler mix. He watched this starved neglected pup grow into a healthy loving family member. From that day forward he knew that rescue would forever be part of his life. Dan makes sure every dog that enters RABBBR is up to date with vaccines, prevention as well as spayed or neutered. He coordinates with our fosters medical needs/visits. Dan also assists in evaluating dogs entering rescue. Shawna always had dogs growing up, and has been an avid animal lover her whole life. She has always felt strongly about the unfair representation of bully breeds by the public and the media, so advocating for such misunderstood dogs just made sense. She got involved with rescue back in 2014 and has volunteered, fostered and done educational outreach work with local schools on behalf of the RABBBR. She now serves on the Board of Directors as Secretary. 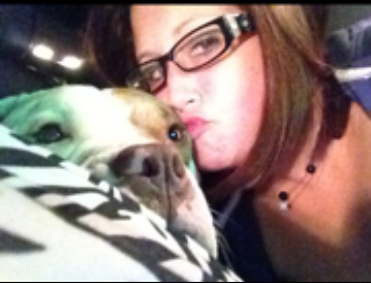 Shawna lives in Marcellus with her husband, daughter, her pit bull Annabelle, her yellow lab Beau, and two kitties. 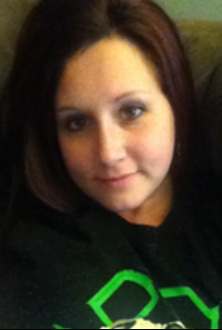 In addition to her position with RABBBR, Shawna works full time as a paralegal. Jaime is on of two of our event coordinators. She has always had a passion for animals, especially dogs, but didn’t know what direction that would take her in until she discovered Recycle-A-Bull. She quickly fell in love with the rescue’s mission, and the work that comes along with it. Through fostering, she has learned what truly stunning creatures pit bulls actually are! Jaime is a teacher and lives in Kirkville, NY with her hound and very own RABBBR alumni. Leah grew up with dogs and has always had a passion for dogs. She adopted Karl from RABBBR in 2015 and fell in love with the rescues mission, training techniques, and support system when adopting from RABBBR. She immediately knew she wanted to be involved in the rescue. She started fostering, volunteering and eventually became part of the board as the Foster Coordinator as well as one of the trainers. Leah is Owner/Operator of her Dog Training, Walking & Sitting Business, she lives in Syracuse with her dogs Tucker, RABBBR Alumni Karl & Keno, and multiple foster dogs. Tobie first joined RABBBR as a foster when we took in 1 week old orphaned puppies that needed somewhere to stay. She opened her home to these pups, and worked to make sure they had everything they need to to survive without their mom. She continues to foster for us, and is now also our fundraising coordinator. She lives at home with her husband, RABBBR alumni Bab's, two cats and her son. Once you have emailed us, please allow us up to 48 hours to return your email. Our rescue is run on a volunteer basis and all of us involved have full-time jobs and families in addition to the rescue, so do not be alarmed if you do not hear from us right away. We will get back to you, promise!